United Cerebral Palsy of Southern Arizona (UCPSA) is a non-profit organization that provides home-based services for individuals with all types of disabilities and the elderly. These services allow people to live in their own homes, either independently or with their families. 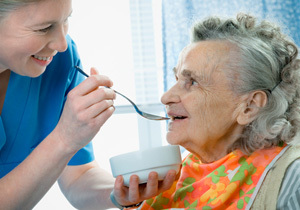 Currently, UCPSA employs about 440 direct care workers and serves over 640 consumers throughout Southern Arizona. Thank you for your interest. I hope you find this website useful in answering any questions you have concerning the agency. For more information, however, please feel free to call (520) 795-3108 or email staff@ucpsa.org. UCPSA has been an affiliate of the national organization since 1962. UCPSA is a nonprofit organization dedicated to providing services and support to individuals with all disabilities and the elderly. 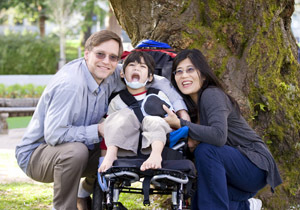 Up to 70% of the individuals served by UCPSA have a disability other than cerebral palsy. UCPSA has an administrative staff of about 40 people and about 550 direct care workers, each of whom help people with disabilities and the elderly develop greater independence in their lives. UCPSA strives to continually improve and build on its programs and services. With the continued support of generous donors, such as Circle K, and its committed staff, the agency will continue to help people live life without limits. Enriching the quality of life for people with cerebral palsy and other disabilities, including the elderly, by providing programs and services that enhance their independence, productivity, inclusion in community life, and by providing support to their families.